Trump said Rep. Wilson "totally fabricated" his words to Sgt. Johnson's widow. President Donald Trump denied Wednesday that he told the widow of a fallen U.S. soldier, "He knew what he signed up for," in a condolence call, contradicting a Florida congresswoman who said she was with the woman at the time. 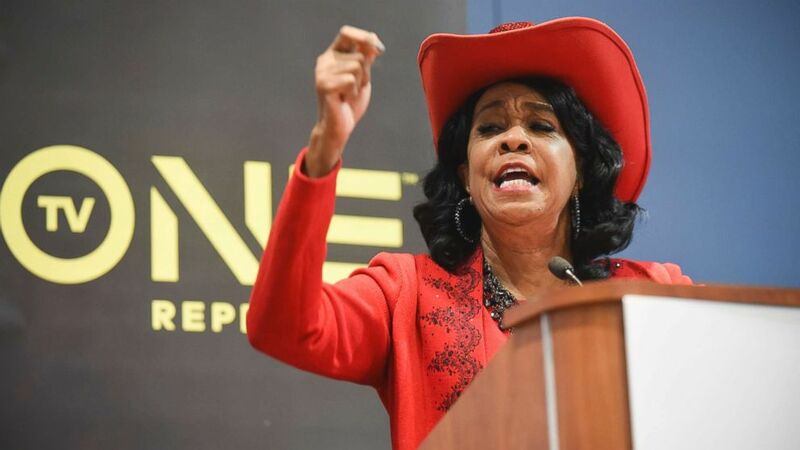 Rep. Frederica Wilson said she was with Myeshia Johnson in a car headed to Miami International Airport on Tuesday afternoon to meet the body of Johnson's husband, Army Sgt. La David T. Johnson, who died in Niger this month, when the president called. In an interview with CNN on Tuesday night, Wilson, D-Fla., relayed Myeshia Johnson's conversation with Trump, saying, "Basically, he said, 'Well, I guess he knew what he signed up for. But I guess it still hurt.' That's what he said." (U.S. Army) Sgt. La David Johnson, 25, died from wounds sustained during enemy contact. He was assigned to 3rd Special Forces Group (Airborne) on Fort Bragg. Trump denied Wilson's claim and said he had a "very nice conversation" with Johnson, "who sounded like a lovely woman." "I didn't say what that congresswoman said, and she knows it," Trump told reporters Wednesday at the White House. "I didn't say it at all." The comments echoed a tweet the president sent Wednesday morning in which he wrote that Wilson "fabricated" what he said to Johnson and that he had "proof" to support it. He later challenged Wilson to repeat her statement about the call, and teased that he would then share his "proof." White House press secretary Sarah Sanders told reporters at Wednesday's press briefing that recordings of the president’s calls with the families of fallen service members killed in Niger do not exist. Trump's claim of "proof," Sanders explained, refers to the other people -- including chief of staff John Kelly -- who were in the room for the conversations. (Kevin Wolf/AP Images for TV One 2016) Rep. Frederica Wilson, D-Fla., speaks during the TV One's Screening Bad Dad Rehab at the Walter E. Washington Convention Center, Sept. 16, 2016, in Washington. In a series of television interviews on Wednesday, Wilson called Trump a "sick man" and claimed she has her own proof. She said Myeshia Johnson “was crumpled up in a ball" at the time of the call. "She had just found out that her husband would not be able to have an open-casket funeral because of the condition of the body…. She said [Trump] doesn't even know his name," said Wilson. Sgt. 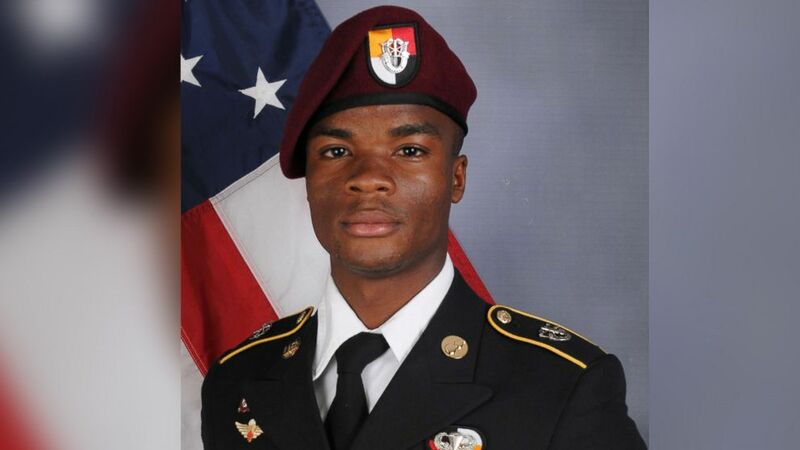 Johnson, three other American soldiers and five Nigerien troops died in Niger on Oct. 4, when their joint patrol was ambushed by militants believed to be linked to ISIS. His widow, who is pregnant, broke down in tears hugging his casket Tuesday as it was unloaded from the airplane. 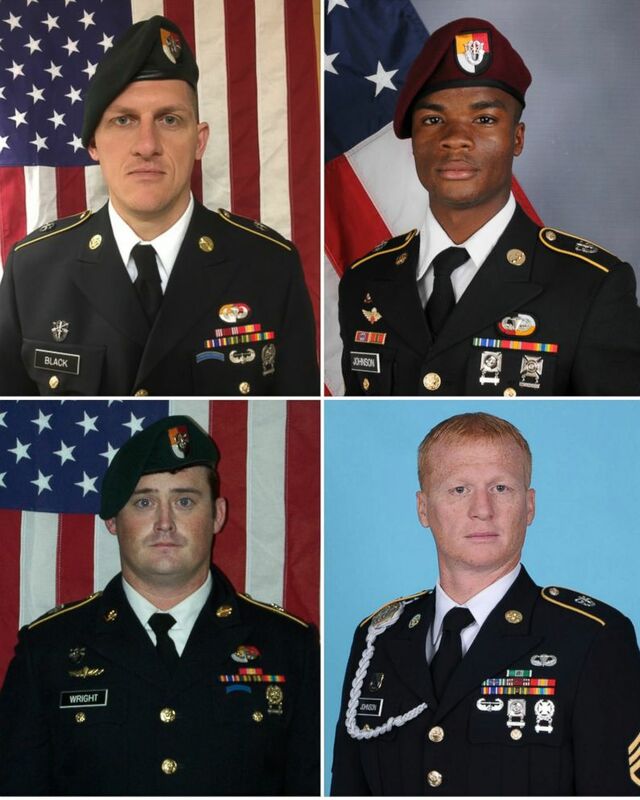 (Department of Defense via EPA) U.S. soldiers killed during an ambush in Niger on Oct. 4, 2017. Clockwise from top left, Army Staff Sgt. Bryan C. Black, 35, of Puyallup, Wash., Sergeant La David Johnson, 25, of Miami Gardens, Fla., Staff Sgt. Jeremiah W. Johnson, 39, of Springboro, Ohio, and Staff Sgt. Dustin M. Wright, 29, of Lyons, Ga.
"This is a soldier who gave his life for his country. He is a hero in our minds, in our community's minds. That is an insult to the entire Miami Gardens community, to our entire District 24, to Miami-Dade County and to this nation. And I hope he did not say that to the other three families that he called," Wilson told ABC-affiliate WPLG in Miami. The full content of Trump's comment as described by Wilson is unknown. The controversy comes just a day after Trump said that former President Barack Obama did not always call to the families of fallen troops. 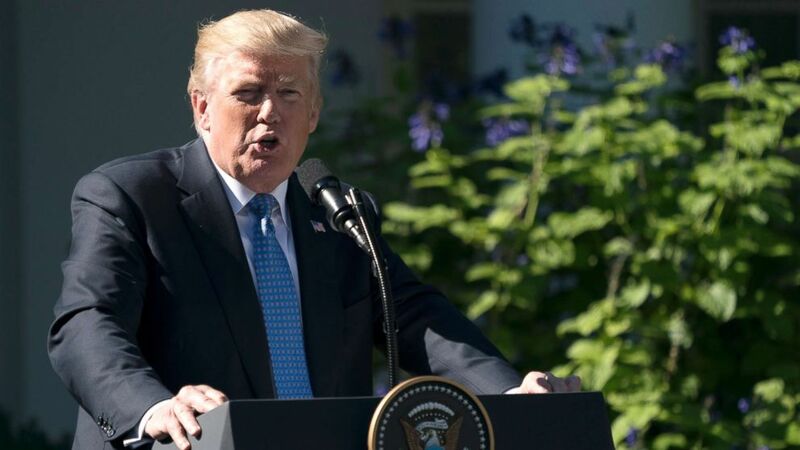 Asked Monday why he hadn't yet contacted the families of the Americans killed in the Nigerien attack, Trump said, "If you look at President [Barack] Obama and other presidents, most of them didn't make calls. A lot of them didn't make calls. I like to call when it's appropriate, when I think I am able to do it. They have made the ultimate sacrifice. So generally, I would say that I like to call. I'm going to be calling them. I want a little time to pass. I'm going to be calling them." (Carolyn Kaster/AP) President Donald Trump speaks during a news conference with Greek Prime Minister Alexis Tsipras in the Rose Garden of the White House in Washington, Oct. 17, 2017. Sen. Lindsey Graham, R-S.C., defended Obama Wednesday, telling ABC News: "What I'm not comfortable with is suggesting in any fashion that President Obama didn't care about fallen soldiers. I don't think that's appropriate, and I'm sure he did care. I don't know who he called, I don't know who he didn't call, but I know that President Obama, like every other president, is heartbroken when someone falls in the service of the country." Trump made calls to family members of the four killed U.S. servicemen on Tuesday. On Wednesday, Sanders, when asked if the president has called every family of service members who have been killed on his watch, said the president has made “contact” with every family. Wilson insisted she was not politicizing anything by sharing what she heard of the phone call. "Mr. Trump was extremely insensitive to that family, and I will stick by that. I'm not trying to politicize it, but I think it was a disgrace," she told MSNBC Wednesday. Sgt. Johnson enlisted in the Army in January 2014 as a wheeled-vehicle mechanic and was assigned to the 3rd Special Forces Group, a Green Beret unit based in Fort Bragg, North Carolina, as part of its support team. The military says his body was found Friday after an extensive search; his body was initially listed as missing. The bodies of the three other U.S. soldiers were recovered shortly after the attack. The U.S. and Niger forces were leaving a meeting with tribal leaders when they were ambushed. The Johnsons have a 2-year-old son and 6-year-old daughter, and Myeshia Johnson is expecting their third child in January. ABC News' Karen Travers contributed to this report.